I’m happy to announce that my tapestry, Displaced: Refugee Blanket has won the First Place Teitelbaum Award in this show. This show is the American Tapestry Alliance’s small format international juried biennial show. The work is about the world-wide immigration crisis and the particular distress of individual humans as marked in the blankets they are handed when they step off a boat or through a fence or are living in a refugee camp, sometimes for decades. It is about human survival and the struggle to create a better life. It is also about the USA’s participation in creating many of these refugee crises. You can read more about it on my blog. The American Tapestry Alliance produces beautiful catalogs of their juried shows. You can purchase them HERE. The catalog for this show will be available around the time the first venue opens in May. Tapestry to the right is Emergence I by Rebecca Mezoff. Tapestry in the center is by Sarah Warren. Left by Sarah Hotchkiss. Tapestry to the right is Rebecca Mezoff’s Emergence IV. There is another blog post HERE with more information, photos, and my teacher statement. The piece I have in this show, Layers, will be auctioned at the end of it's time at La Posada. The money goes to support the A-I-R program at Petrified Forest National Park. Below is the statement about the piece. 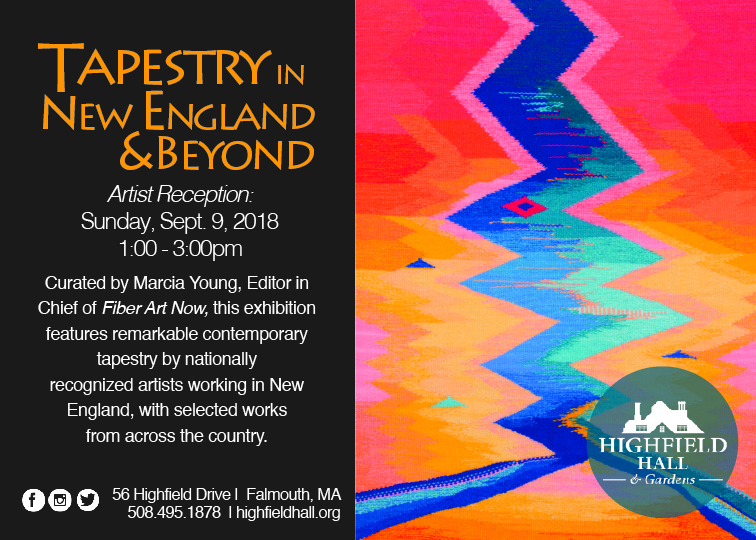 This show is about tapestry diaries and features the work of Tommye Scanlin, Janet Austin, Geri Forkner, Janette Meetze, and Kathy Spoering. The work of these artists is outstanding and is well worth a visit! They have graciously accepted my Petrified Forest A-I-R tapestries to their show. HGA published an article by Tommye Scanlin about the show in the Summer 2017 issue of Shuttle, Spindle, & Dyepot titled "Time Warp and Weft: A celebration of the passage of time through weaving." If you can't attend the show, look for the article!